The ability to remotely manage equipment is one of the most critical aspects of modern IT infrastructure. 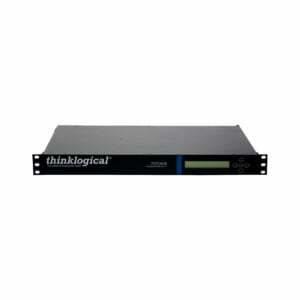 Thinklogical’s PDU 4/4 – Remote Power Distribution Unit offers power management for up to eight devices (computers, hubs, routers, etc.) and works in conjunction with Thinklogical’s Secure Console Servers. The PDU offers effective out-of-band management by enabling users to power cycle, hard boot, and control power to individual servers through console management sessions. Power restarts can be sequenced using programmed time delays to minimize surge or allow drive spin-up time.